© Thomas Chadwick. All rights reserved. 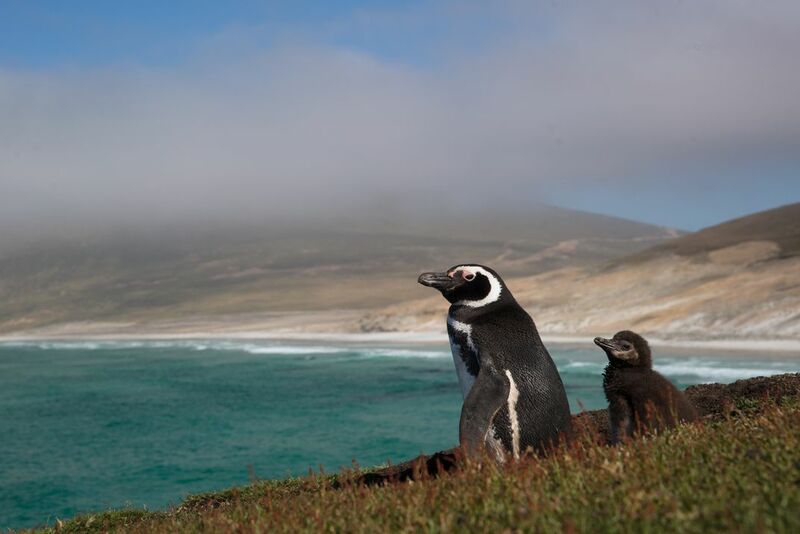 Animal: Magellanic Penguin & Chick Location: Falkland Islands, (Islas Malvinas) Share a priceless view with a Magellanic Penguin family that call this burrow their home. The burrow seemingly constructed with only the purpose to raise their chicks also boasted one of the best views as it sat halfway up a mountain peering down at the endless white sand beach. Magellanic penguins are some of the most affectionate penguins and this is the perfect spot for each parent to gaze out from their mountainous view as they show love for their partner each morning and evening by preening one another. In an area rarely traveled, I pitched my tent alongside these penguins half way up a mountain to share their magnificent view. Magellanic penguins are one of the most skittish penguins, but they warmed up to me as we both went about our lives living side by side. 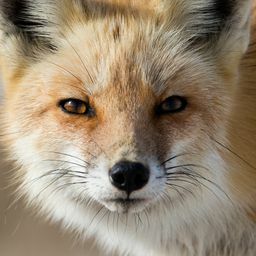 Instead of watching me cautiously from their burrows when I showed up, by the time I left they didn't move a muscle as they suned themselves inches away from me. As the sun continued to rise above the mountains, dark clouds rolled in at a low elevation. As I looked to the left of my tent a Magellanic Penguin and chick were sitting outside their burrow with rich red undertones surrounding them. After grabbing my camera, I slowly inched my way over to them crawling on my stomach until I was close enough to frame the photo. As I sat their waiting with my camera up to my eye, the dark clouds blew further into the adjacent mountains revealing the rich dark blue sky. This moment shows why Mother Nature is truly the greatest artist of us all. Date Uploaded: July 4, 2018, 9:16 p.m.